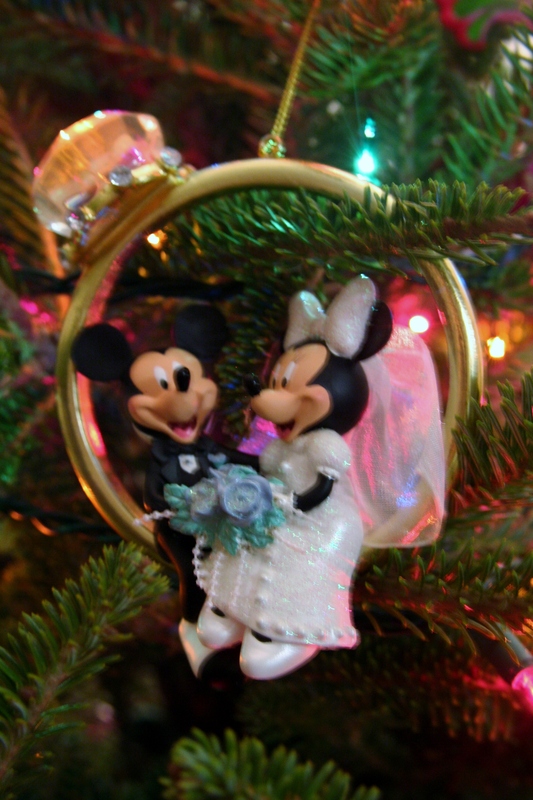 One of my favorite items at Disney around the holidays is Christmas ornaments! 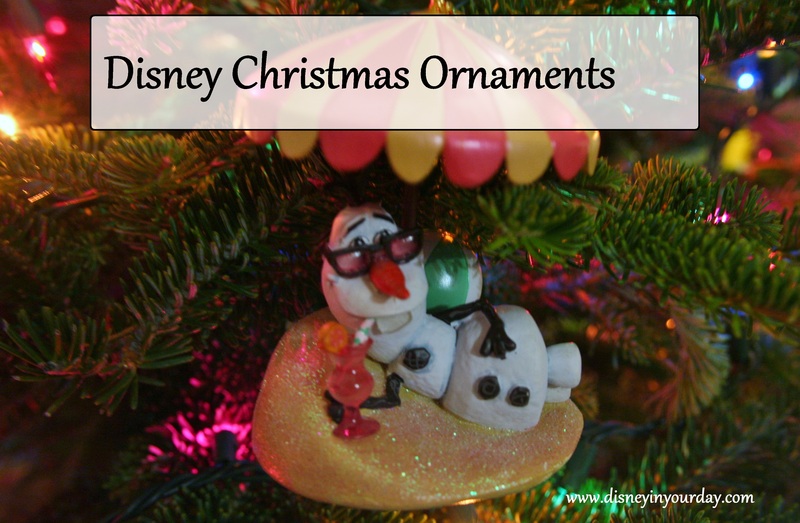 They are a fun way to add Disney into your holidays, and they also make great souvenirs from the parks. 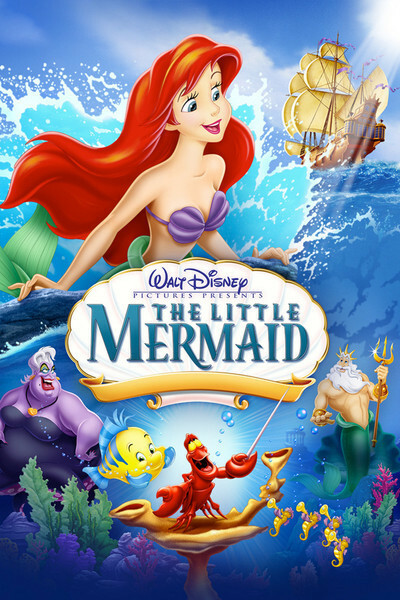 Whether you get them from Hallmark, Disney World, or the Disney Store, there are so many wonderful ones to choose from I wanted to share my favorites! One that we purchased on our honeymoon. I especially loved it because my bouquet was blue roses just like Minnie’s! 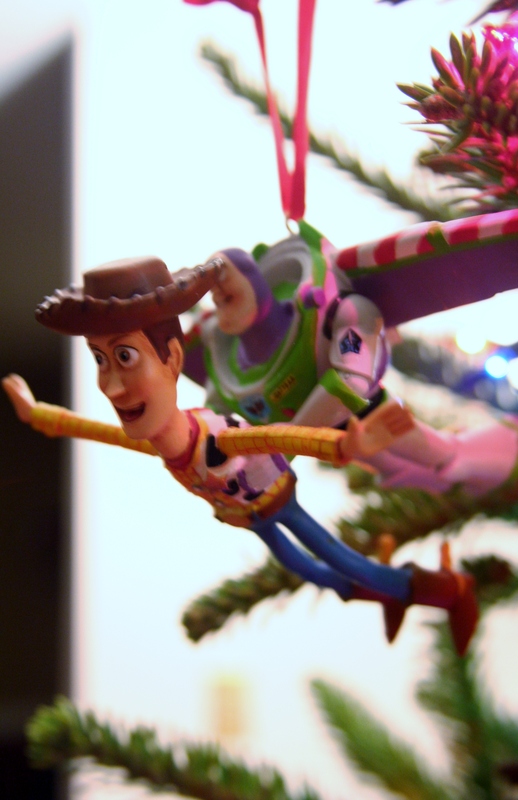 I got this for my husband last year, as he’s a big Toy Story fan. 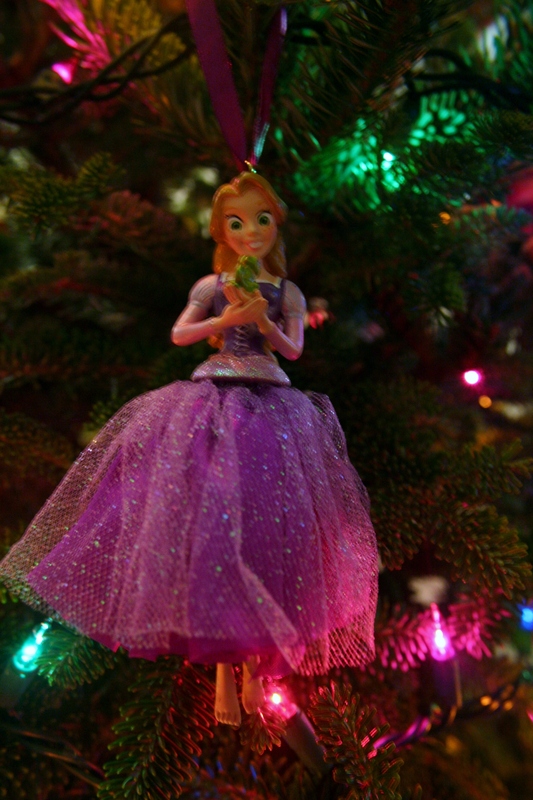 I love the Princess ornaments with the poofy dresses! 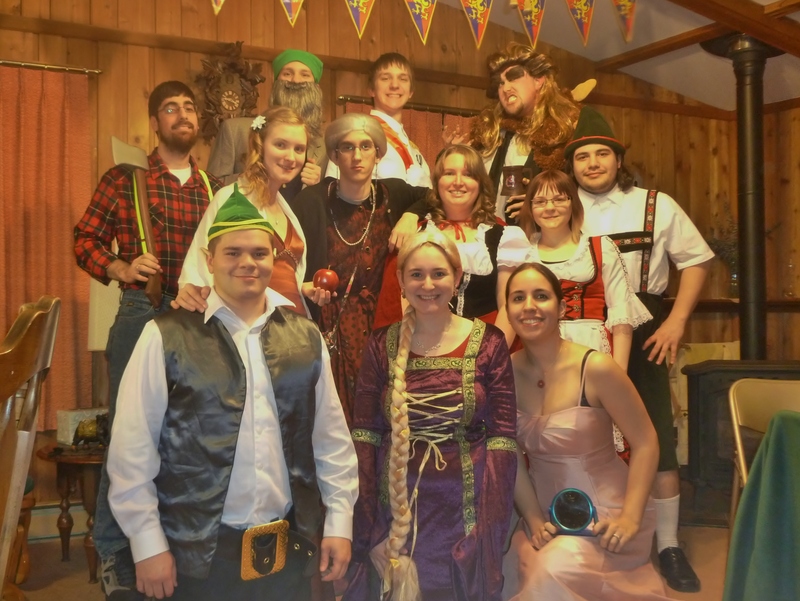 While it’s not strictly Disney related, about a year ago I threw a murder mystery party that had a fairy tale theme – and I feel like that’s something that Disney fans might be interested in! 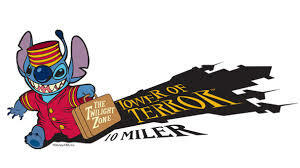 You could very easily add a lot of details to make it Disney-oriented, even if the mystery itself isn’t from Disney. I had hosted a number of murder mystery parties with different themes before, but I was especially excited about this one. It is called Once upon a Murder, and it’s a downloadable party from Night of Mystery. You can print everything right from your computer that you’ll need, and depending on which version you purchase it can hold anywhere from 8-80 guests. We got the version for 8-12 people, and had 12 at our party. 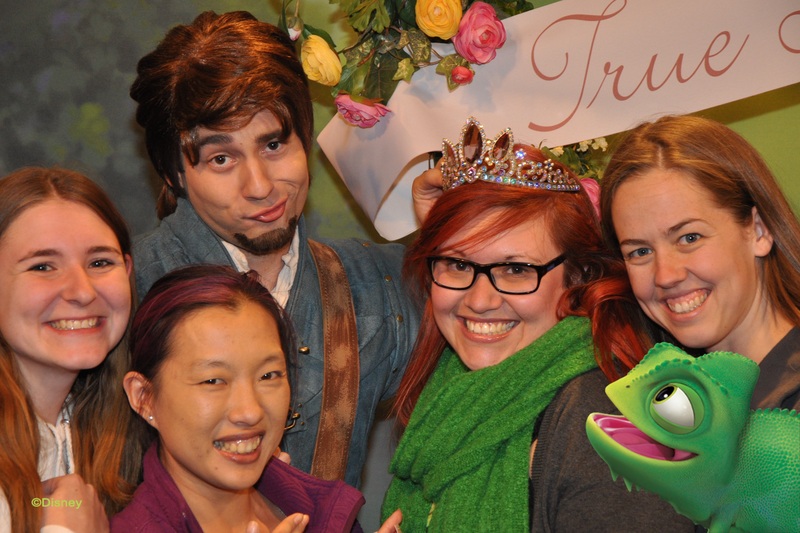 One of the other items on my bucket list was to meet all of the Disney Princesses. 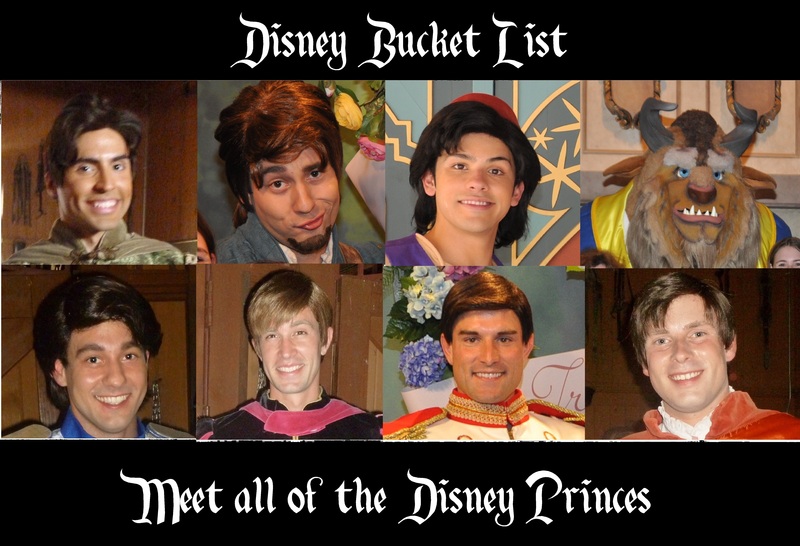 The Princes, however, are a lot harder to find. Some of them pop up frequently enough to check off the list, and others are almost impossible. Though Flynn has technically become a prince since marrying Rapunzel, you won’t find him in Princely outfits! A few years ago he was out doing meet and greets with Rapunzel, but ever since Merida took over that area you find Rapunzel on her own. 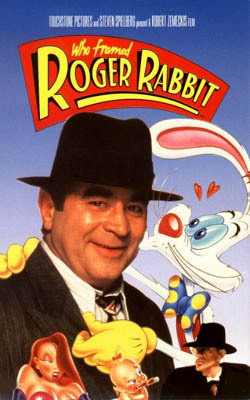 Rumor has it though that Flynn can still be found in Disneyland and Tokyo Disney, as well as on special occasions (like True Love week this past February).